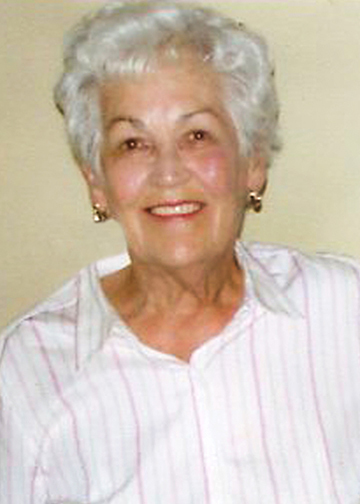 Marjorie Ruth “Penny” Broussard, 90, of LaBelle, died Tuesday, February 5, 2019, at Bonne Vie Skilled Nursing, Port Arthur. She was born August 26, 1928, in Nederland, to Lillie Harrington Easley and Admiral Dewy Easley. Penny was the first telephone switchboard operator in Nederland and also worked as a cashier at several grocery stores in the area. She was president for one year in Order No. 3195 of the Knights of Columbus, KCettes. Survivors include her daughter, Cynthia Broussard Champagne and her husband, Steve; son, Ricky Broussard, all of LaBelle; grandchildren, Stephanie, Jason, Samantha, Nicki, Tabatha, and Sarah; and eleven great-grandchildren. She is preceded in death by her parents; husband, Roy Charles Broussard; sons, David and Michael Broussard; and daughter, Lisa Broussard. A gathering of Mrs. Broussard’s family and friends will be 12:00 p.m., with a Rosary recited at 1:00 p.m., followed by her funeral service at 2:00 p.m., Friday, February 8, 2019, at Broussard’s, 505 North 12th Street, Nederland. Her interment will follow at Greenlawn Memorial Park, Groves. Memorial contributions may be made to St. Therese, the Little Flower of Jesus Catholic Church, 6412 Garnet Avenue, Port Arthur, Texas 77640. Our sincere sympathy and love to Cindy and family. She and your Dad will be forever in our hearts. Cindy my condolences to you and your family on the loss of your mother. May God bless each one of you.. Our prayers are with you.. I have fond memories of Aunt Penny. She was always so kind to me, always made me feel welcome. Prayers for Cindy, Steve, and Ricky; and everyone who will feel the loss of such a lovely person.